Very dark: as deep in colour as the Taylor 1955. Quite gentle on the nose, perhaps a touch muddy. In the mouth, a little fruit and some astringency. Some sediment clouding the deep orange colour. Burnt rubber and cabbage on the nose. Sweet and full in the mouth - lacking fruit flavours but with a nice line in leather and meat juices. Long and very full aftertaste and a big, flavoursome finish. 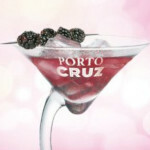 This is tasty port. 89/100.